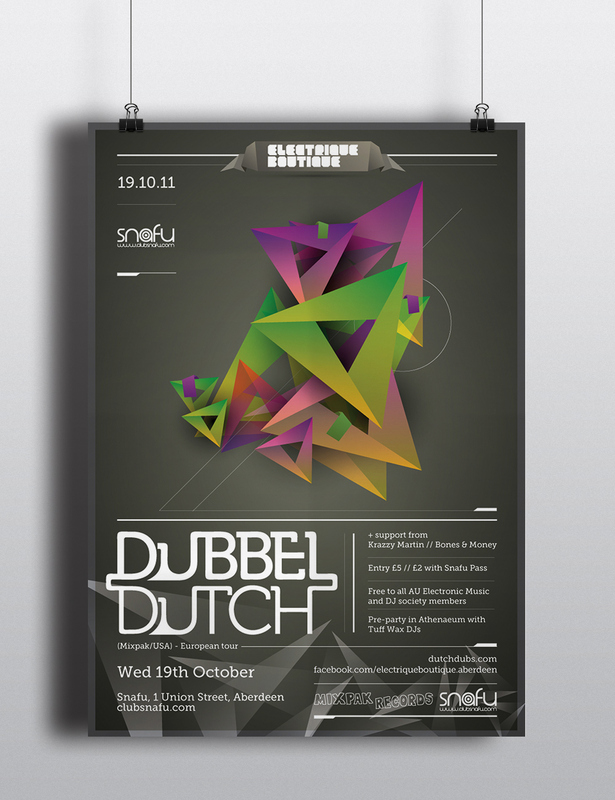 Series of club night posters created for a selection of events at Snafu, a popular night club in Aberdeen, Scotland. 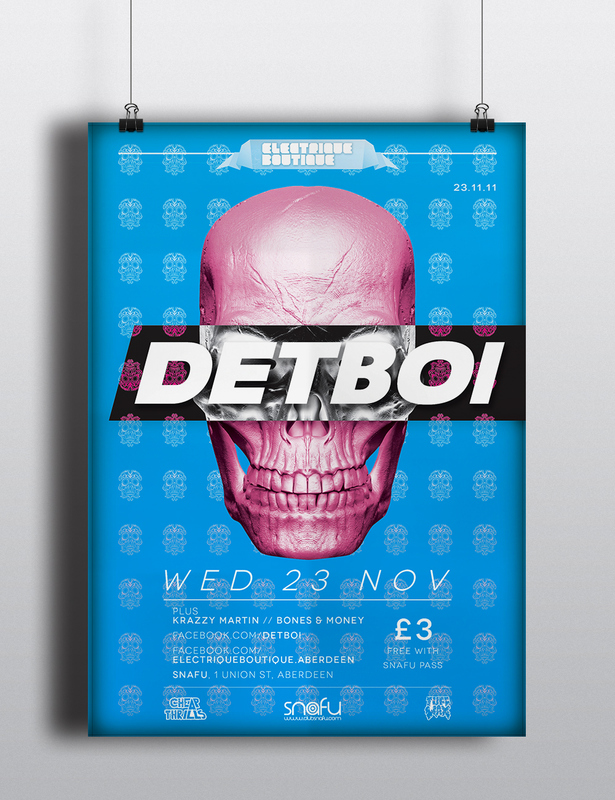 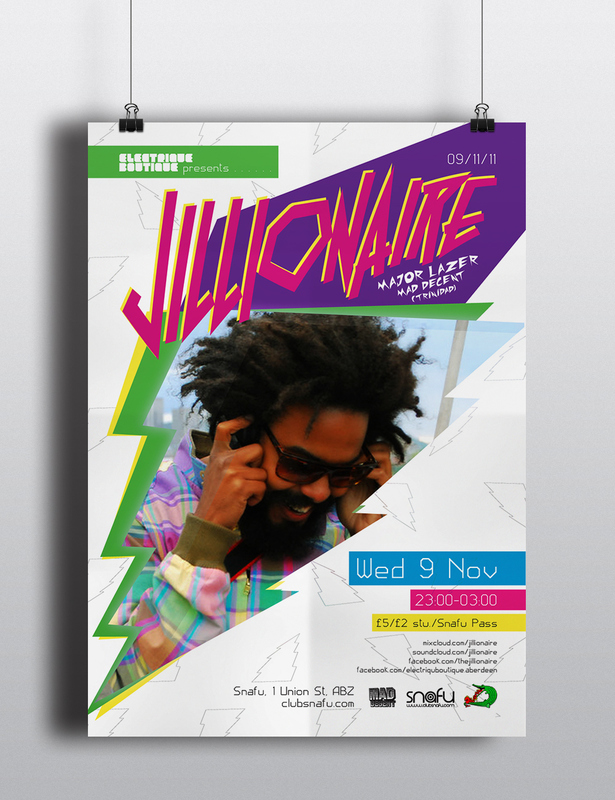 All posters created in Adobe Photoshop and Illustrator. 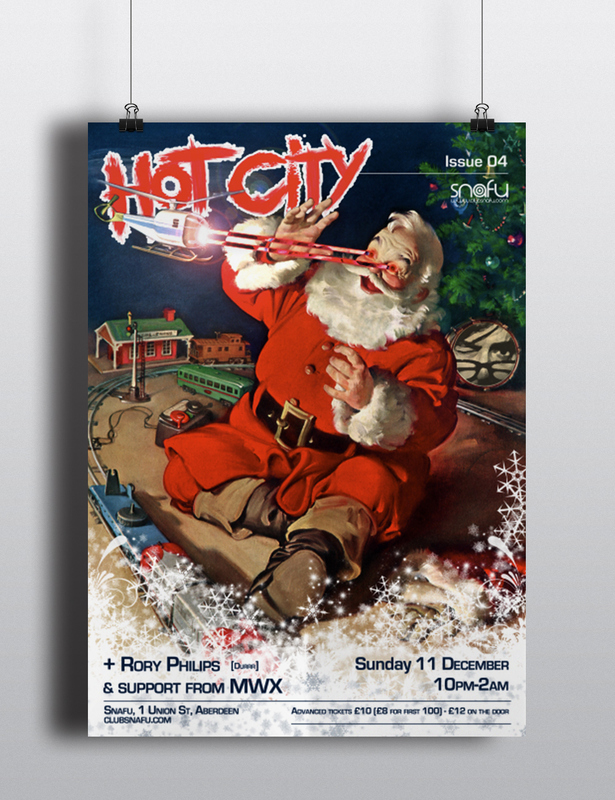 Brief from the client: "I want lasers comin' out Santa's eyes!"